Designed to increase business profitability, this USB drive contains an essential set of written and recorded training materials on self-storage auditing, marketing, operations and revenue management. READ FIRST! 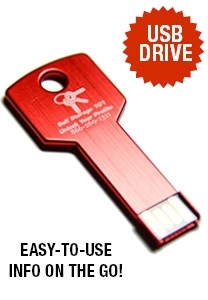 There are three USB drive products available in the “Self-Storage Keys of Knowledge” series. SOME CONTENT IS DUPLICATED between the three offerings. To see a detailed breakout of key contents and choose the best fit for your individual needs, please view this side-by-side comparison chart. Hands-on self-storage owners are tasked with having knowledge of all facets of the business while keeping a sharp eye on expenses and operational efficiencies. This USB drive contains an essential set of written and recorded training materials designed to help independent owners increase the production and profitability of their storage business. Bob Copper is owner and partner in charge of Self Storage 101, an industry consulting firm specializing in operational improvement, training, audits, feasibility and market studies, and due diligence. As a prominent consultant, author, speaker and trainer, Bob has worked with hundreds of self-storage owners, operators and managers to develop strategies for operational improvement, revenue growth and value enhancement. As a self-storage owner himself, he also has a unique perspective that relates to working with other operators.